Liposuction is one of the most common cosmetic surgery procedures in Australia. At Verve Cosmetic Clinic, we offer a specialised process called liposculpture that uses state of the art equipment and advanced technology to create the best possible results for our customers. It is common to have stubborn fat on certain areas of the body, which can be difficult to get rid of even with a healthy diet and regular exercise. But, liposculpture can remove excess tissue to transform your figure and achieve a slimmer contour. This can help you to feel confident and rejuvenated with an overall younger and healthier appearance in little time. Liposuction is a simple low-risk procedure that involves using small tubes or an instrument called a cannula to remove the excess fat tissue from the body. The cannulas are inserted through incisions that are made into the skin of the are being treated. There is then suction that is used to encourage the fat tissue to be removed from underneath the skin and this process continues until all of the excess fat tissue is disposed of for the expected results. There should be no permanent scars left by this liposuction procedure and the results are permanent. Liposuction can last anywhere from 60 minutes to three hours and it will depend on where and how much fat tissue is to be removed how long your procedure will last. You will be able to gain a better idea of what you can expect during your consultation at Verve Cosmetic Clinic. The liposuction procedure is painless for the client since an anaesthetic is administered before treatment begins. Every effort is made to make sure that clients are comfortable at Verve Cosmetic Clinic before the procedure starts. Are there any Side Effects from Liposuction? Patients can experience some bruising and slight swelling after the liposuction procedure. But, these side effects are not expected to last long. In addition, there may be some soreness around the incision areas, but this should fade on its own within a few weeks. Is there any Downtime Associated with Liposuction? You should be prepared to take around one or two weeks off work for recovery. In addition, you should avoid strenuous exercise for a couple of weeks so that your body can heal and return to normal without any complications. You will be required to wear an elastic body garment after having liposuction. This should be worn for a number of weeks and will aid with proper recovery and reduce the risk of loose skin developing from receiving the treatment. Who are Suitable Candidates for Liposuction? Candidates for liposuction should be an average weight and of good health, as well as looking to remove some excess fat on the body. It is important to point out that this procedure is to remove localised fat tissue and should not be used as a replacement for a healthy diet and regular exercise. If you are older and cannot easily lose weight or your body has not returned to normal after life changing events such as pregnancy, you can consider liposuction. Excess fat tissue can be removed from the abdomen, hips, buttocks, back, legs, face and neck. This treatment will not remove cellulite and cannot get rid of any loose skin. It is also important to note that if you gain weight after the procedure, you can undo the successful results of liposuction. If you would like to find out more about liposuction and how this procedure can help you, you can contact us today to discuss your options with Dr Alia Nasser. Liposculpture is a revolutionary procedure that lets us remove fat precisely, resulting in better body contouring. It can be performed in many areas of the body and face, including the chin and neck area. The specific advantages of liposculpture to the neck and chin are a decrease in the fatty folds under the neck, a lessening in sagging of the neck and better definition of the jaw line. Patients experience marked reduction of their double or triple chin. Recovery is usually rapid with most people achieving a remarkably good result by the end of the first month. You will answer a pre-procedure questionnaire and after discussing the areas to be treated again, these areas will be marked. The time required to perform liposculpture may vary considerably, depending on the size of the area, the amount of fat being removed, the type of anesthesia and the technique used. After the procedure, you will stay in recovery for an hour after which you can leave with your nominated driver. After the procedure, you will experience some fluid drainage from the incisions. To control swelling and to help your skin retract, you will be fitted with a compression garment to wear over the treated area for a period of two weeks. You will also be prescribed antibiotics to prevent infection. Don’t expect to look or feel great right after surgery. There is a possibility you might experience some pain, burning, swelling, bleeding and temporary numbness, which can be controlled with simple analgesia. It is normal to feel a bit anxious or depressed in the days or weeks following surgery. However, this feeling will subside as you begin to look and feel better. Unfortunately, liposculpture is not a treatment for obesity and is not an alternative to dieting. The procedure works best on those whose weight is stable and/or have localized areas of fat deposits. Are there any complications in liposculpture? Complications of liposculpture are quite rare. As with any surgical procedure, liposculpture is associated with common side effects such as bruising, swelling, and numbness. Skin irregularities have been greatly reduced because Dr. Alia Nasser uses very small cannulas that have a more even and less traumatic reduction. How do I know if I’m suitable for liposculpture? Dr Alia Nasser has large experience and specialises in liposculpture and facial contouring. Having done hundreds of liposuction procedures, she can answer your questions, address your goals and expectations regarding facial and body liposculpture. During your consultation, she will provide you with the facts to enable you to make the decision that’s right for you. 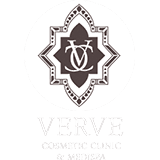 All Liposculpture procedures are performed on site at Verve Cosmetic Clinic.